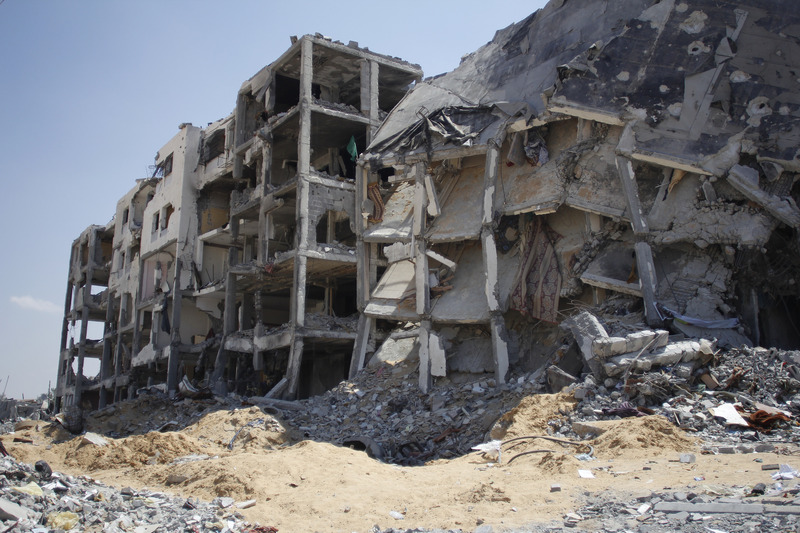 Testimony from Gaza: Witness to a War Crime. Omar Mohammed Shaheen, a father of four, describes what it was like returning to his neighborhood in Beit Lahiya, Gaza after taking shelter in an UNRWA school during Israel’s latest assault. “During the first humanitarian ceasefire, I set out to go back home to check on the area and to collect more clothes and necessities for my family. I drove my car from the UNRWA school shelter where we were staying to the area near Sheikh Zayed Towers, which is close to Al-Nada Towers where I live. I had to stop and park my car there because the Israeli tanks were very close, so it was too dangerous to drive. I walked the rest of the way home. When I got to my apartment building, telecommunications and electricity were cut off completely and there was no means of communication working. I took everything I needed from my house and decided to return quickly because the hours of ceasefire were almost finished. When I came out of the building where I live, I watched a deliberate crime occur right in front of my eyes. A mother and her three-year-old were walking quickly out of the area and after a few seconds, I saw an Israeli drone rocket hit them directly and a big explosion followed. I stayed hiding for a few minutes and then returned to see what happened. I found the bodies of the woman and her child on the ground in many parts. Israeli tanks were very close to the incident and could clearly see everything. I was sure they saw me and knew that I saw what happened, so I ran away as fast as I could and went to get my car from the Sheikh Zayed Towers area. I drove back to Al-Nada Towers and stopped the car next to the bodies of the mother and her child. I lifted their bodies and put them into the car, knowing that Israeli tanks were nearby and could see me. After I finished, all my clothes were stained with blood. I drove out of the area where the Israeli soldiers and tanks were and headed to a nearby road where there was an ambulance that retrieved the bodies of the mother and child. September 27, 2014 in Palestine. ← The Threads that Bind Us.